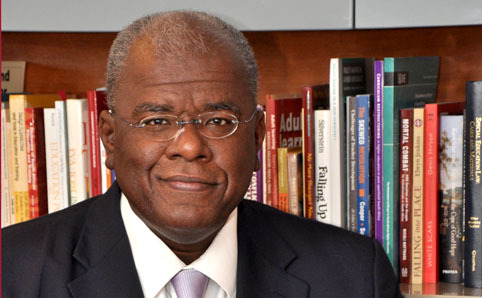 Professor Jonathan D Jansen is the vice-chancellor of the University of the Free State where he has earned a formidable reputation for transformation. He is an educationalist and a former Dean of Education at the University of Pretoria with countless degrees and awards to his name. His recent books include Great South African Teachers: A tribute to South Africa’s great teachers from the people whose lives they have changed. Where do you get your boundless energy and inspiration from? I saw a bunch of Japanese school children in an elevator at a university in their country and I almost leapt out of my skin with excitement. I then realised, once again, where my energy actually comes from – it is from young people, anywhere, that I draw, almost instinctively, the desire to teach, to inspire, to lead… whether there is a classroom or not. Why do you believe “The Inspired Teachers Conference” is important? Because the legitimate criticism of schools and teachers is often heard by the thousands of excellent teachers as a criticism of them too; there must be places that recognise and bring into community those inspired teachers. Many CEOs say they don’t have time for social media yet you have used the digital world to great effect. What is your advice to your peers who are wary of social media? You have no idea how you can reach thousands upon thousands of publics (mine is an educational public) with positive and corrective messages about your “product” (mine is education) in ways that create new markets or communities for that product. What message would you like to give South African teachers? My message to SA teachers is that we are performing at 30% of our potential as great teachers and our children, as great learners. We need to recognise that we are much better than our situations tell us. That is our biggest challenge, to restore self-belief among teachers. I am reading seven books at the same time, including Disintegration: The Splintering of Black America by Eugene Robinson and Why Our Colleges and Universities Have Given up on the Meaning of Life by Anthony T Cronman. Prof Jansen is a tough act to follow but you can rest assured that we’ve got plenty of inspiration at this years Inspired Teachers conference. So watch this space – full details to be released soon!